If you cannot log in to the Linux system because you forgot your user account password, it is possible to solve the problem! 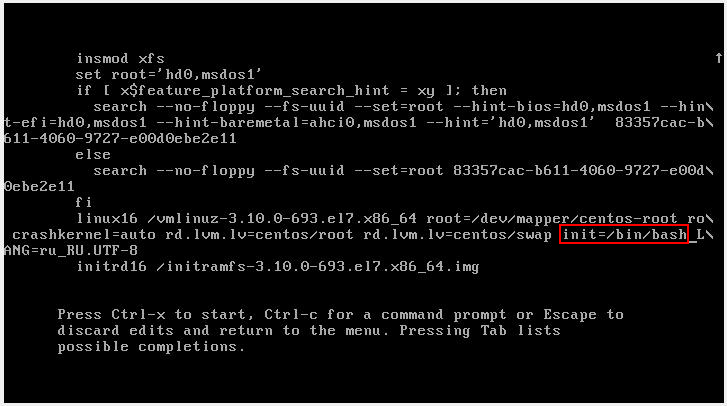 Although this password cannot be recovered (by simple methods), but it can be reset and replaced with a new one, this guide will tell you what to do if forgot the user’s password in Linux. Where instead of username you need to substitute the name of the Linux user account. If you do not have other administrative accounts and if you forgot the Linux account password, you cannot enter the operating system, then to reset the password we need a single-user mode. In single-user mode, credentials are not asked (login, password), while the logged user has superuser permissions. In this mode, using the familiar passwd command, it is possible to set a new password. Note that the changes made in the second step (changing the download options) are temporary - they affect only one subsequent booting. Therefore, when you reboot at the fifth step, you do not need to do anything - the system will operate in normal mode. To move to the end of the line and to the beginning of the line (in the second step), use the keyboard shortcuts Ctrl+a and Ctrl+e. Although the root password reset algorithm is similar, but there may be some nuances in different distributions, let us take a closer look at them. 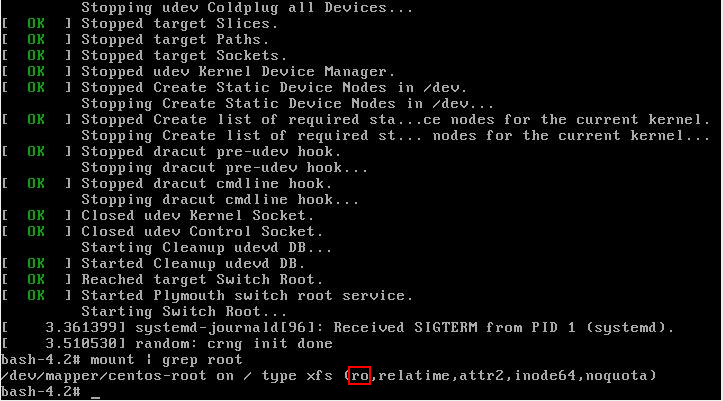 Note for UEFI: If you use UEFI instead of GRUB, then also see this article, it tells you how to change kernel boot parameters in this case. 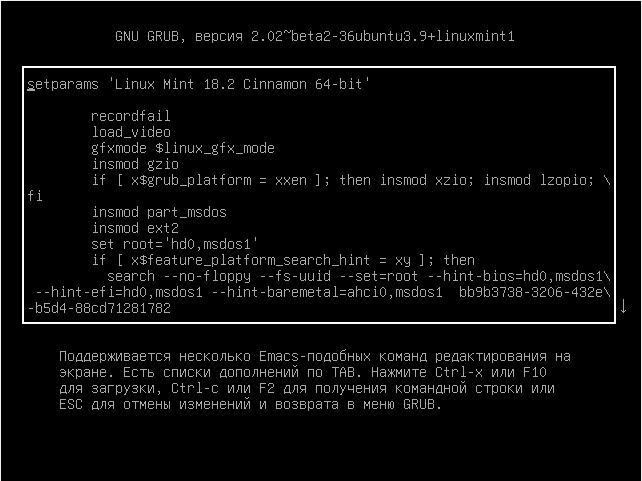 To interrupt the loading of GRUB (the first step) during startup of the computer, press and hold the SHIFT key - it works always, even on Linux Mint, where by default the GRUB menu display is disabled. When everything is ready, press Ctrl+x or F10 to continue booting with the set options. and then power off the computer/reboot with the physical button. On the screen there is no interesting line for us, swipe the cursor keys down and find the line starting with linux. and then power off the computer/reboot it with the physical button. 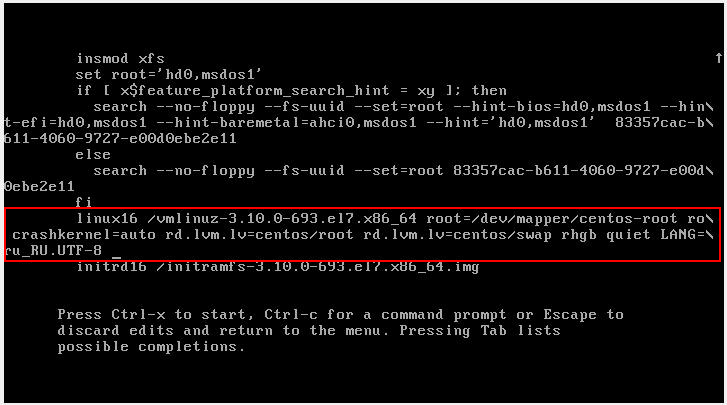 In addition to having to mount a file system for save changes, RHEL/CentOS 7 also has a nuance related to the presence of SELinux. In GRUB 2 one cannot change the password in single user mode? In Red Hat official documentation, I found the statement that GRUB 2 no longer performs password reset in single-user mode, as it was in GRUB. And now for the operation in single-user mode, as well as in emergency mode, the root password is required. 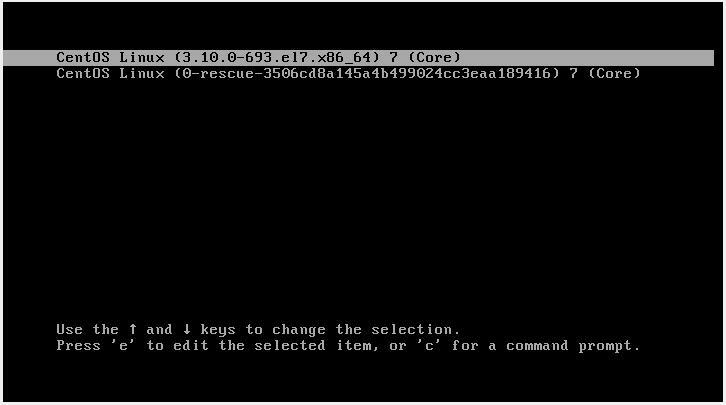 Perhaps this applies only to the latest versions of Red Hat Enterprise Linux, because, as you can see from this instruction and screenshots, in GRUB 2 you can change the password in single-user mode. 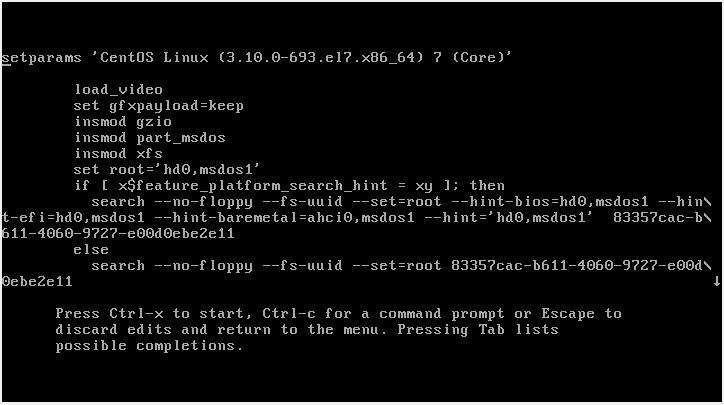 The documentation describes two ways to reset the root password in Red Hat Enterprise Linux in case the described here method does not work.